VC investors are now increasingly participating in mid-series (Series B-C) fundraisings due to more opportunities and lower competition. VC investors such as A91 Partners, Iron Pillar, Mirae Asset Global are now exclusively targetting the mid-stage ventures. Delhi High Court has said that ED, CBI and IT Department can attach assets mortgaged to banks. Max Group has completed its first commercial prime office real estate project in Noida with an investment of around Rs.600 crores. The group is expecting an annual income of Rs.70 crore from rentals. Khadi and Village Industry Commission has reported a 28% rise in sales during the fy 18-19. Total sales during the period were Rs.3215 crores. Reliance Jio’s fibre network is raising around Rs.27,000 crores in syndicated loans from a group of banks for business expansion. Cred, financial tech startup of Kunal Shah, is in talks with some of its existing investors and Hillhouse Capital of China to raise around $100 million. The deal may take valuation of the firm to $400 million. CureFit is close to raising $75 million in a fresh round of funding from Accel Growth and Chiratae Ventures. The funding may take the firm’s valuation to $500 million. Logix Group has decided to scale down its real-estate portfolio by bringing on board partners to either construct, sell or raise debt for many existing projects. Drug Controller General of India has asked manufacturers of several common antibiotics to place safety warning on the drugs. ArcelorMittal has appointed its representatives to the monitoring committee of Essar Steel. To support its existing business and further expansion, Lotus Herbals has started scouting for firms for acquisition and is reportedly willing to sell some stake to raise funds for the same. Jio has reportedly crossed 300 million customer mark on March 2, 2019, in two-and-a-half-years of getting into operations. – Jet Airways’ pilots’ union has deferred strike plan saying that it wants to give another chance to the airline. – Reportedly Spicejet is hiring engineers and pilots of Jet Airways at around 30-50% lower salary than they are currently getting. 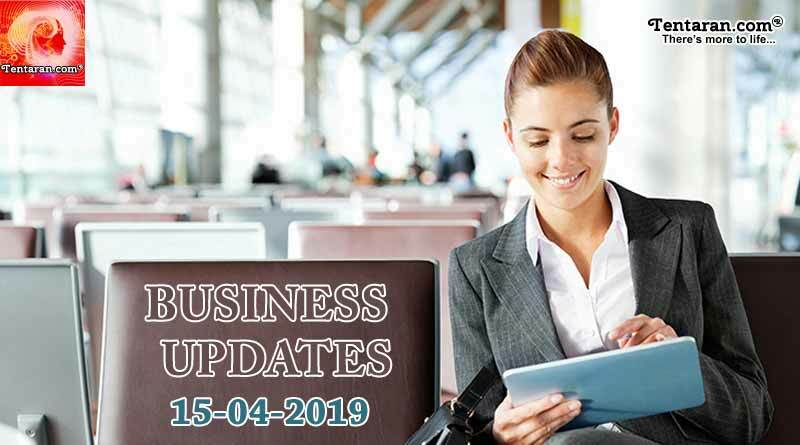 For more articles like ‘India business news headlines 15th April 2019’, do follow us on Facebook, Twitter, and Instagram.